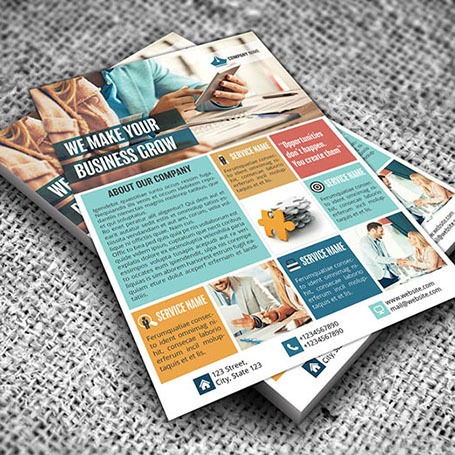 Create an eye-catching resource with the highest quality flyer printing in Melbourne. Need some fast, professional resources for promotion? Whether you’re promoting an event, communicating important information, or printing a menu, you need a speed – and quality – guarantee. Don’t waste your time on misprints that have been poorly formatted — at Creffield, our in-house design team and world-class digital printing technology will ensure your flyers come out right the first time. Our graphic design team can also help you with flyer design, or assist in refining one you’ve already got to ensure it’s print ready. High quality and custom printed to any format. While we are well known for being being a leading provider of dl flyer printing in Melbourne and Geelong, or expertise isn’t limited to dl flyers. Our printing services include flyers of all sizes, formats and designs. And forget about excessive wait times, our turnaround times are second to none. We can produce your flyers at short notice and have them delivered to you straight away – with no limits on quantity and the latest top-of-the-line tech, you can rely on us for speedy bulk orders. Want to know the details? Click here to view the specs for Flyer Printing.